The case before the Maine Supreme Judicial Court highlights the political debate over both immigration and welfare programs. Maine’s highest court soon will decide whether asylum seekers who have been authorized to work but remain unemployed are eligible to receive food stamps, a case that represents the growing politicization of both immigration and entitlement programs. 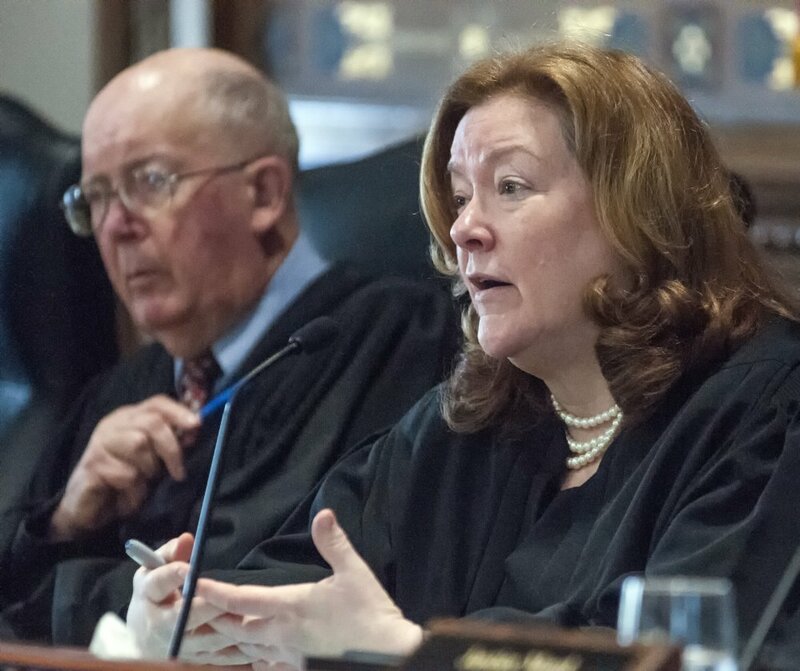 The Maine Supreme Judicial Court heard oral arguments Thursday from Amy Olfene, an attorney representing plaintiffs who sued the state after being denied benefits, and Assistant Attorney General Thomas Quinn, representing the Department of Health and Human Services. The case hinges on language included in the 2014-15 biennial budget that provided funding for public assistance programs for asylees who have obtained proper work documents – a process that can take months or even years – but who have not yet found work. Euphrem Manirakiza, who emigrated from Burundi and settled in Maine, was denied benefits in the summer of 2015. He appealed that decision and was denied, but the case made it to the state supreme court. If the high court rules in Manirakiza’s favor, as many as 150 other asylum seekers could benefit, according to Jack Comart, legal director for Maine Equal Justice Partners, which advocates for low-income individuals. Quinn said Thursday that DHHS denied the plaintiff benefits because it believed the budget language ended the food stamp program for that subset of immigrants. Olfene, however, said the budget did no such thing. She argued that it only specified that applicants would not be able to receive benefits once the appropriated money ran out. “It’s not only unreasonable but wholly inconsistent with the clear intent of the Legislature” that the program was to end, Olfene said. The landmark federal welfare reform act of 1996 that shaped two major public assistance programs – Temporary Assistance for Needy Families (TANF) and food stamps, now known as the Supplemental Nutrition Assistance Program (SNAP) – prohibits certain categories of immigrants from obtaining those benefits. Several states, including Maine, have passed laws that allow state funds to be used to provide food stamps or TANF to asylum seekers who are otherwise eligible for the programs. The state statute that allows this outlines four categories of legal non-citizens: elderly or disabled; victims of domestic violence; those who have not yet obtained work documentation and those who have obtained work documentation but are unemployed. Republican Gov. Paul LePage and some of his allies in the Legislature have sought to eliminate state funding for these programs but have not been successful. The debate over providing public assistance to legal immigrants who are not yet U.S. citizens has played out nationally as well. Chief Justice Leigh Saufley said Thursday that justices will have to decide whether the language is too ambiguous. At different points during oral arguments, Saufley seemed to see both sides. Quinn said that should be interpreted to mean that legal non-citizens with work documentation are no longer eligible because the program was terminated. Olfene countered that the line meant only that if or when the allocated money ran out, that group would have to wait until the next budget cycle. She also said, by law, the state cannot simply deny benefits to those who are eligible, even if the funds run out. The Legislature approved the same level of funding for assistance programs for legal non-citizens in the most recent biennial budget, slightly more than $250,000. Saufley and Justice Donald Alexander each pointed out that if the Legislature wanted to end the program for certain asylees, it could have written language to repeal it or language to end it on a certain date. The dispute over the language in the budget highlights how lawmakers – and governors’ administrations – often use budgets to enact complex or controversial policy changes. Comart said although the issue was politicized by LePage and others, he believes the court will cut through that. “It sounded from the oral arguments that the justices understood our argument, but you can never tell,” he said. The court will issue a written decision in the coming months.